There are works in French, English, Russian, German and other languages. CIRFA intends to contribute to breaking down the artificial compartmentalization of the production of progressive thought and activist knowledge. 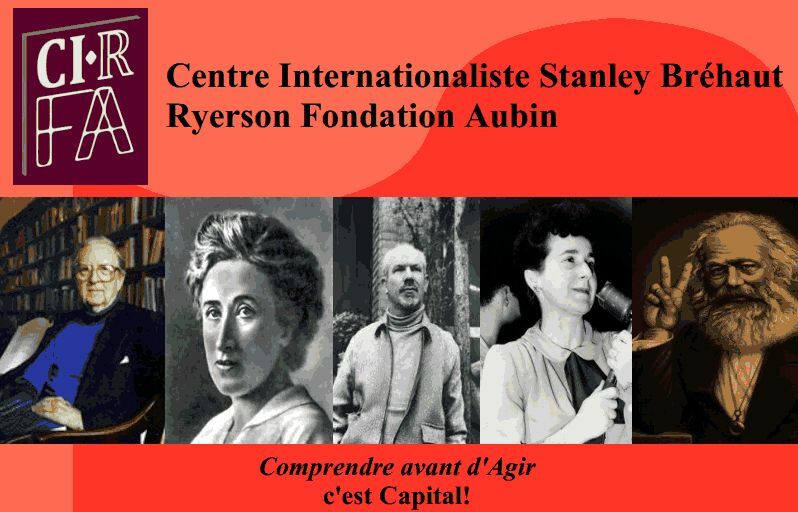 The Stanley Bréhaut Ryerson Research Centre encourages academic and activist research in the Humanities and Social Sciences in Canada / Quebec. It’s aim is to energise the exchanges between the sites of intellectual production of knowledge and the concrete realities of workers and their basic human needs. Understanding before acting is capital!